It’s been a week since I returned from Singapore, and I miss the place loads! Haji Lane, especially, where I had the honour of holding my debut amiguruMEI Singapore Meet & Greet and first ever amigurumi workshops. It was my first time visiting Haji Lane and boy did I fall head over heels in love with the place! I was so busy and worried about having my meet and greet and workshops go well that I barely had any time to enjoy the street as it was. But there’s always next time! 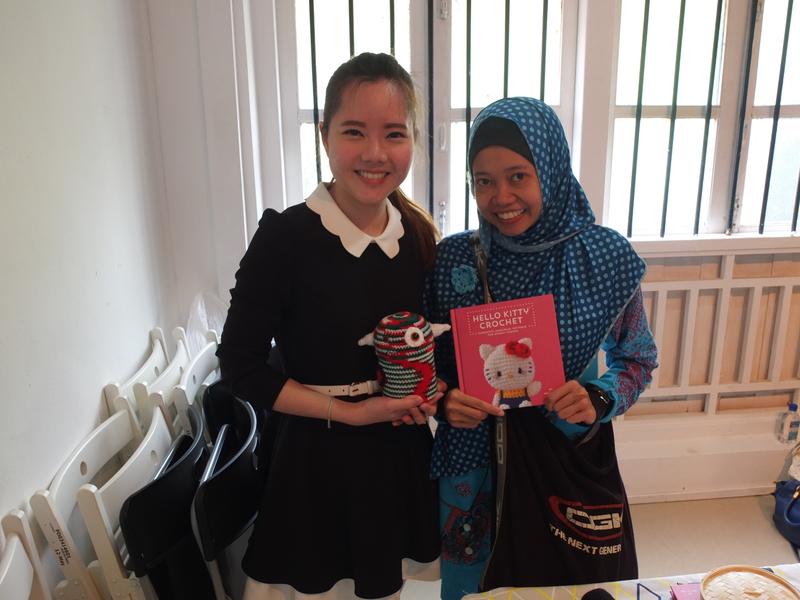 And we have the first visitor of the day, Shanny, from Malaysia! 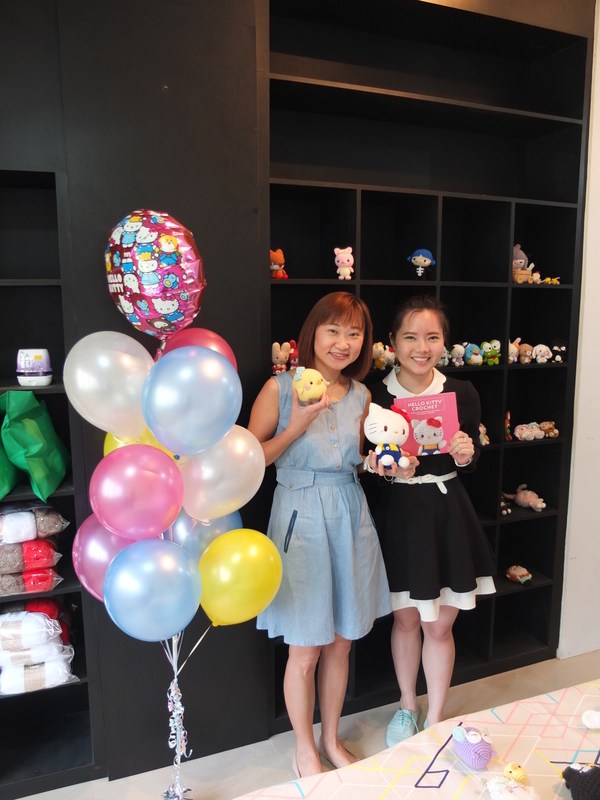 I was a bit taken aback when Shanny said she is currently using a picture I took in Hello Kitty Crochet as her desktop wallpaper :’) Thank you Shanny for making my day! 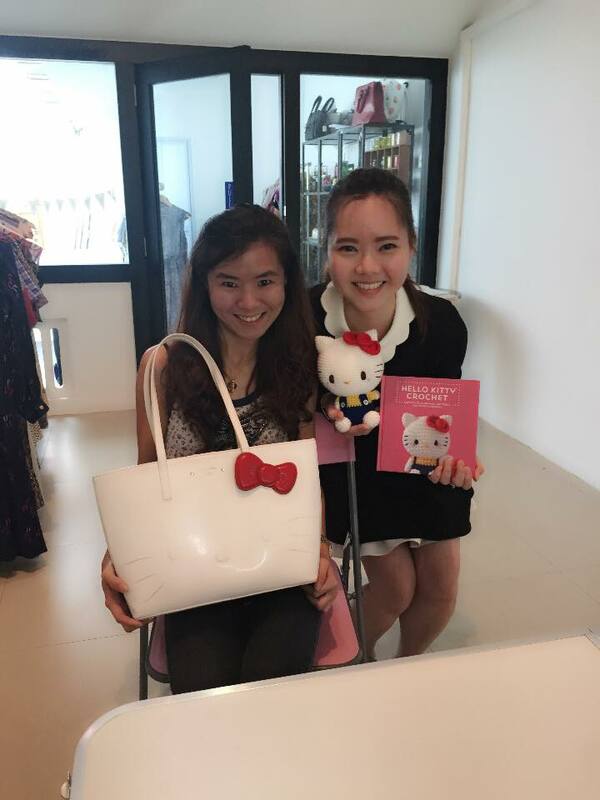 And I love the Hello Kitty bag! 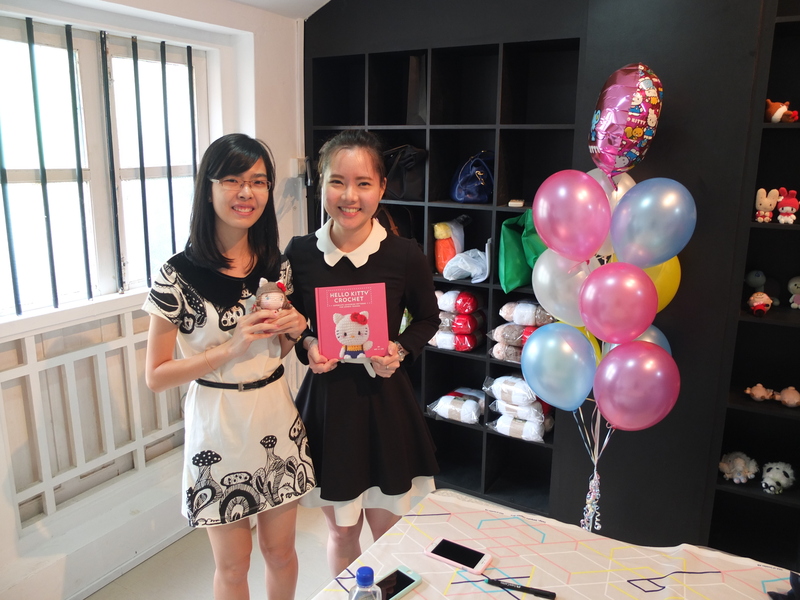 Tian Min of @5ambento and Lin of @maysatch from Instagram who came bearing gifts! What an honour to meet them finally! Scrutinizing the stars of the day! A crochet monster jar from the sweet Yaney of @bisukiut! It’s a pity I didn’t get to meet Mr Ling’s wife, Loretta, who couldn’t make it to the meet & greet. My friends told me that they came by again later and waited to see if I had some time to chat, but unfortunately the beginners workshop went on for a tad long and they had to leave! I hope I’ll get to meet you one day soon Loretta! Chuu I said she was so glad to find my book smiling back at her in Kinokuniya! 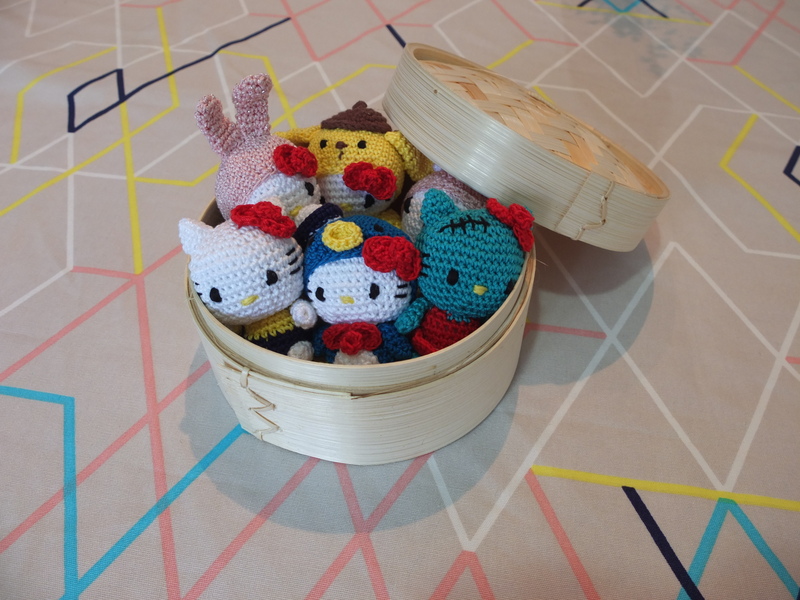 And she brought along her dimsum crew! 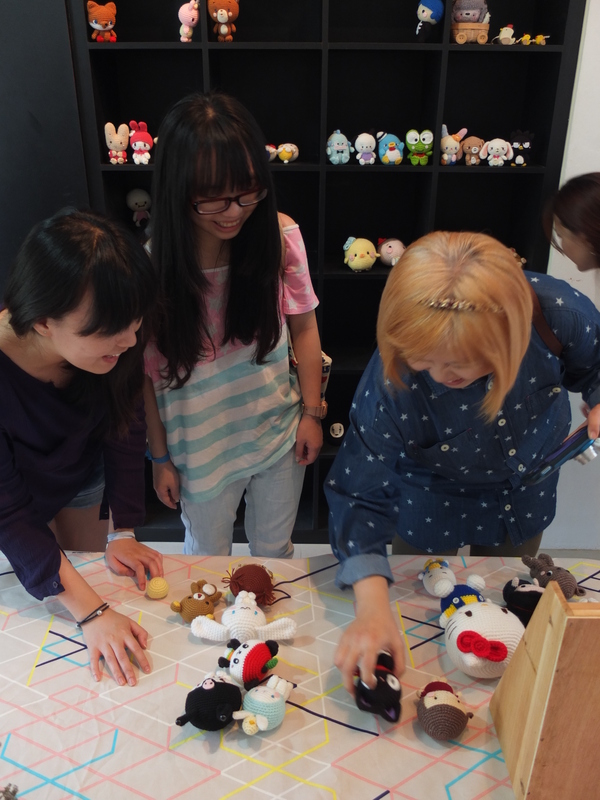 Special thanks to she who loves Moomins: Wendy of When I Create and Craft Assembly, who first wrote to me over a year ago to ask if I was interested to drop by her zakka store to host a series of workshops! Her superb organisation skills have made everything possible. 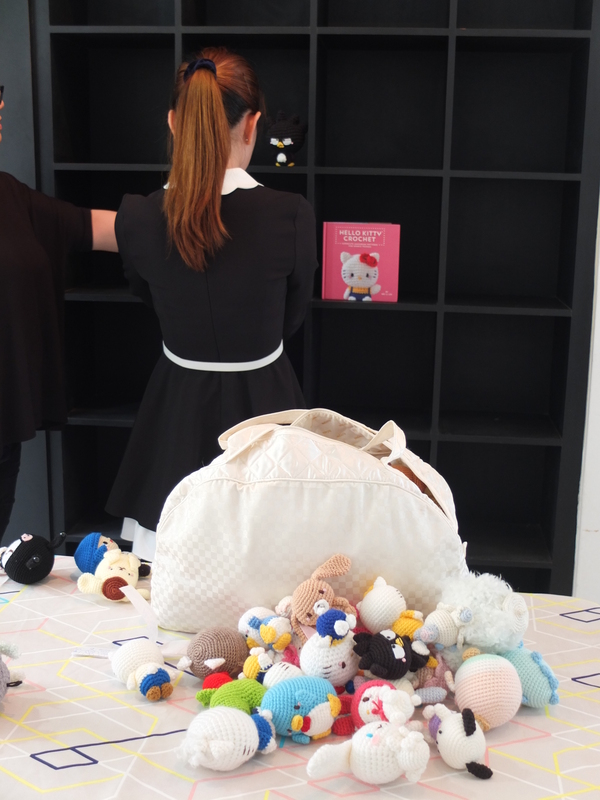 I look forward to visiting her collection of vintage Kewpie, Moomin and Woodland dolls again! And a few selfies before we go. 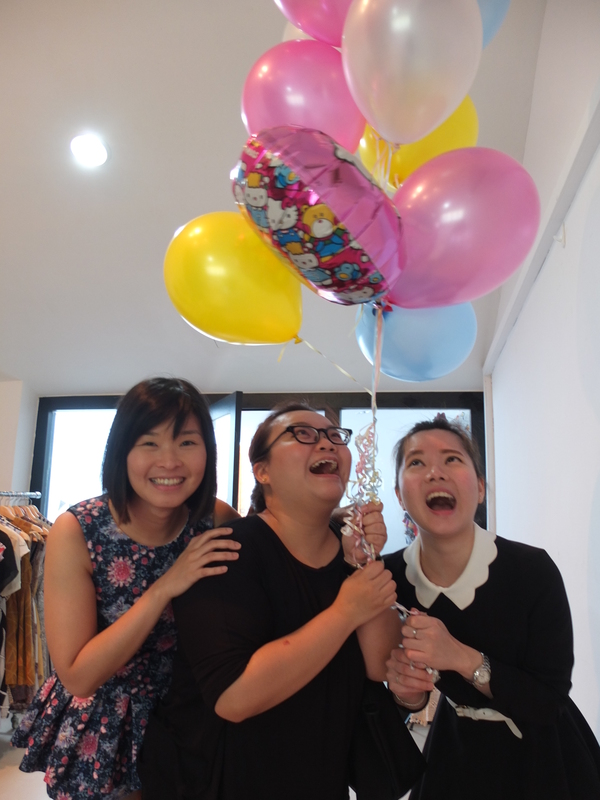 My besties Pey (L) and Huey Yi and Fei (below) who surprised me with some Strawberry Shortcake Hello Kitty balloons! I was super excited that I got the chance to meet everyone, but I was really dead-tired by the end of the two-hour session. And I still had a beginners workshop to host! I was also feeling super uncomfortable in my dress, which I thought looked very French-maid-like! 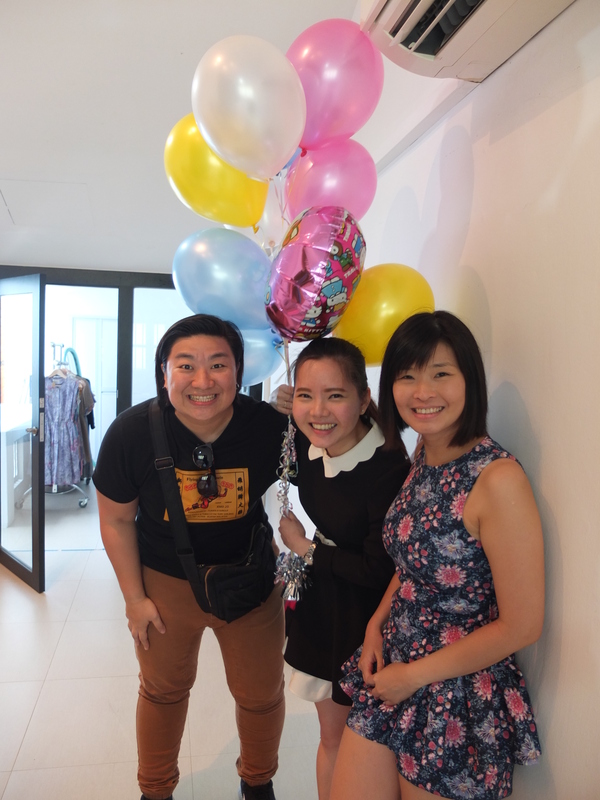 Shanny, Yaney, Min, Nancy, Yan, Tian Min, Chuu I, Siew Fong, Lin, Vivian, Carissa, Mr Ling, Ning and Sharon: Thank you so much for coming by and dropping me a line in my haphazard Shinzi Katoh guestbook. I really hope to be able to meet everyone again the next time I head to Singapore! To my besties Pey and Fei: Thank you so much for flying in to Singapore with me and making the trip a truly memorable one! Love you girls! To my hubs, James: Thank you for always being there for me, and flying in for just one day so you could be a part of my first ever workshops! XOXO Love you lots! P/S Special thanks to Pey for being my photographer of the day!